The recent spate of scandals involving the federal government should not surprise anyone. While it's important that bad actors in government be held to account, the system corrupts even the best people. If all that comes of this exposed corruption is the firing of a few public employees, nothing will change, and those seeking power over their fellow man will be emboldened. 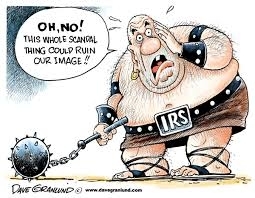 The clear corruption at the IRS, spying on media, and strongarming of health sector companies by Secretary Sebelius, among many other issues plaguing the administration, show not just that the group of people surrounding the president are corrupt, but hightlight the failure of big government generally. Heads, figuratively speaking, need to roll. But firing a few IRS employees -- or even a few elected and appointed officials -- will not change the culture of big government arrogance that permeates Washington, DC. In fact, given the size of the operation, if only a few people lose their jobs the ones that are left will learn they can act with impunity. That's a recipe for corruption, and corruption we have. The IRS scandal (and the others currently immolating the White House) has the potential, like Watergate, to be a culture-changing event. 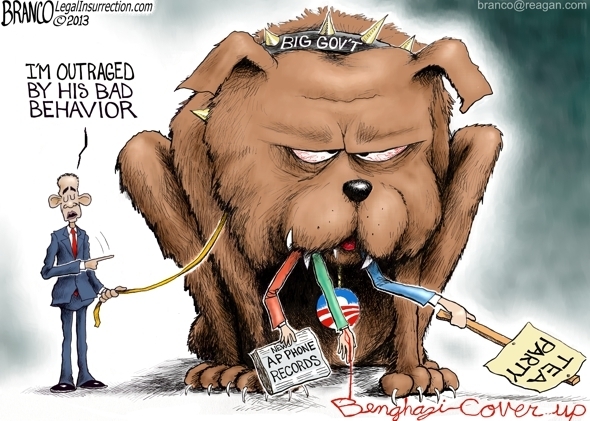 Americans must not let it turn into merely an attack on Lois Lerner, Sarah Hall Ingram, or even Barack Obama. While we can look at that and say, "Come on. How could the administration not know what the IRS was doing? ", we haven't actually seen an Executive Order from Barack Obama saying, "OK, IRS, go punish conservatives." And I don't think we're going to find that sort of thing. And I actually think that for the cause of limited government and conservatives, it may be perfectly fine if no direct tie to President Obama is ever established, because then we can say "Look: if Lois Lerner or the folks at the IRS were ordered to punish conservatives and they decided to do so, then it kind of suggests that well, all you need to do is replace the President [with someone] who would not give that order and things would be fine." If this organically grew out of the culture of the IRS, and it certainly does appear that was the case, and it certainly does appear that wherever the order or the instruction or the idea came from, certainly there was no one within the IRS who said "Hey, wait a minute. This isn't a good idea. Hey, wait a minute, this is unfair: we're giving Tea Party and conservative groups, we're judging them by one standard and other groups, on the left, we're going to judge them by a different standard. As a nation, we must not rush to judge individual guilt or blame people for a systemic problem. That is not meant to excuse anyone of wrong-doing. People are to blame for what they do, but the system must be re-thought and reformed to align the individual interests of the officials involved with those of the taxpayers they are supposed to serve. Whatever happens, and no matter how much trouble is heaped on the heads of scapegoats, even more than not being the root cause of the problem, they are not the victims. Even if following orders, they had every opportunity for years to find other work or to blow the whistle on an activity that, legal or illegal, violated the spirit of the American experiment. Investigations should continue, and that means focusing on individuals to a certain degree. But until the current tax system is radically reformed, they will continue to yield to the incentive they have to excercise arbitrary power. When that power extends to Americans' health, the temptation will be all the greater. The Fourth Branch of Government has risen.